Digital Transformation is the primary driver of innovation, but security and regulation can get in the way. 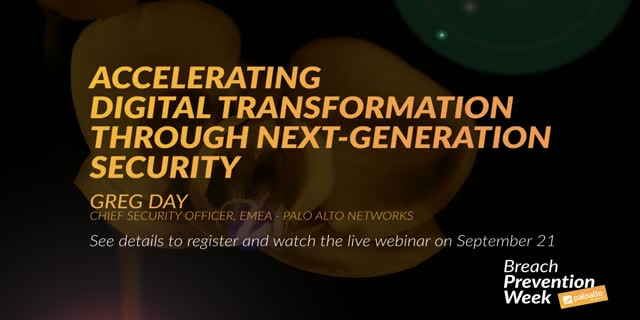 So join Greg Day, Palo Alto Networks EMEA Chief Security Officer, for a session on how Next-Gen Security can enable your business to transform and not get left behind. Click the attachments to register and watch live, or watch the recording on demand.